Move over, Kid Rock — Joey Bada$$ is now the ALL-AMERIKKKAN BADA$$ with the release of his sophomore studio LP, and you can hear the entire thing right here. 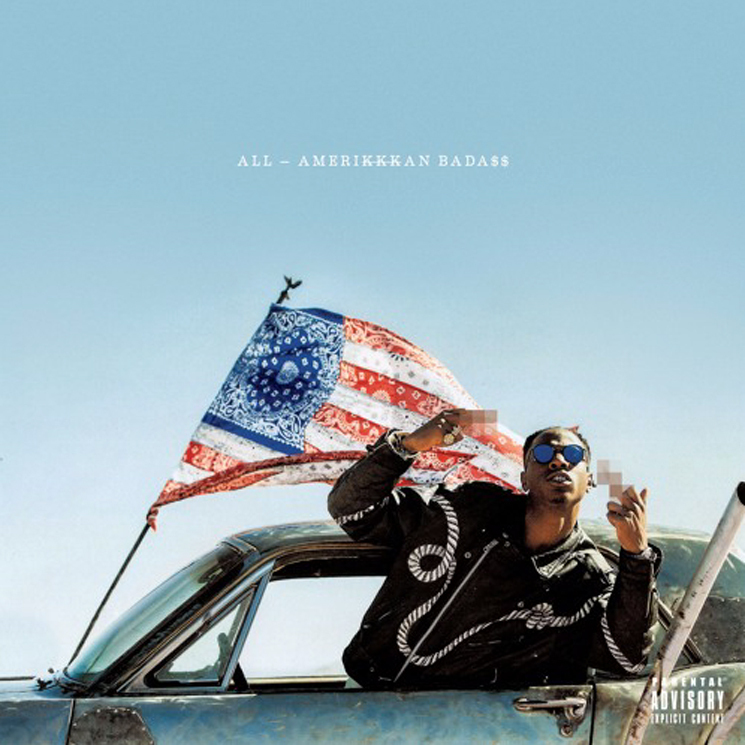 Arriving today (April 7) through Pro Era/Cinematic Music Group, ALL-AMERIKKKAN BADA$$ runs 12 tracks in length and features contributions from J. Cole, ScHoolboy Q, Styles P, Chronixx, Flatbush Zombies' Meechy Darko, and Pro Era crewmates Kirk Knight and Nyck Caution. Speaking on the effort with Tampa radio station Wild 94.1 in October of last year, Joey said that "this new project is very powerful. That's the best thing I can say about it: it's very strong music. It's like hella vegetables. It's hella good for you, and it's almost my hesitance with it: the fact that it's so good for you, because these kids these days want candy." Take in the entirety of ALL-AMERIKKKAN BADA$$ in the player below.